You may notice that very few of these books are geared specifically toward musicians, but there aren’t that many of those out there for the casual reader (a search for “music creativity books” returns almost entirely academic titles). No matter, creativity is creativity - all of this advice can be adapted across disciplines, and I sometimes find it more interesting to get new perspectives from people in other disciplines, anyway! The subtitle of this one is: Break Through the Blocks and Win Your Inner Creative Battles, which really gets to the heart of what makes being a creative person difficult (inner critics, The Resistance, roadblocks of all types), with a good dose of kick-in-the-pants (don’t worry, it’s not too harsh). Totally essential reading for all people in creative fields. This one is full of nuggets of truth about the creative process, and how it can be scary to own your identity as a writer/artist/musician/whatever it may be. Even though a lot of the stuff in here was familiar to me, there are so many great stories from specific people about how the magic happens (or doesn’t happen) when they’re creating, and who can’t use some extra encouragement to keep your creative habit going? Bonus: check out her podcast, Magic Lessons - each episode features a writer who’s stuck and gets connected with a famous person in their field for advice - super inspiring! Based on a speech that consisted of 10 things Austin Kleon wished he’d known when starting out, this is a quick read with a cool aesthetic, by a visual artist who is known for doing blackout poems (pages from newspapers or books with all but a handful of words blacked out). The title refers to embracing your influences - we all internalize a mishmash of things and mix them up, so don’t worry so much about originality. He also addresses the importance of connecting to others and getting to know them in a genuine way (which is a bigger part of an artist’s job that we sometimes admit). This book isn’t exactly about creativity, but centers around “creating goals with soul”, which is the underpinning of everything - most of us create art because we want to do work that feels meaningful. The heart of it is the question, “How do you want to feel?”, guiding you through a bunch of writing, which ultimately gets distilled down to a few core desired feelings that can act as your North Star. That has really changed the way I think about my life and work. Well, technically, it is a book, but it’s more of an experience (or, you decide what it is!) It’s filled with prompts that encourage you to use it in different ways - as a voyage (tear out the page and fold it into a boat), a musical instrument (flip the pages quickly), a recording device (writing names down), a secret message to leave for someone, a scrapbook, a photo album, etc. It’s all handwritten, with plenty of cool visuals and space to create each exercise - really fun. I first discovered Katie through her podcast (also called Let It Out) that centers around wellness and deep conversations, then discovered her book on journaling. I’ve always wanted to be a regular journaler (not just a moody one, hah! ), because when I write, it helps me sort out my thoughts like nothing else does. This book is filled with helpful prompts for different situations: productivity, organization, enjoying the moment, abundance, health, and, of course, feelings! It’s really helped me when I didn’t know where to get started writing, and writing more often has helped me clarify the direction of my career - invaluable! I always love reading about the routines of other creative people (and I love Twyla Tharp’s method of making a physical box for each project, to dump everything into), but this book is much more than that - it has many exercises to support having good work habits (not exciting as the thought of conjuring magical ideas, but so necessary! ), as well as honest advice to kick you out of being stuck. Here’s one that’s actually specifically about music! My strongest memory of this book is of lying in bed on the day of my senior recital in college, looking for some inspiration that would make me less nervous about the looming performance. I discovered this book (and Kenny Werner’s music) earlier that year when he came to do a masterclass at Ithaca College, where I was studying at the time, and the ideas about mindset, the normalcy of struggle in the pursuit toward mastery, and mindfulness have stuck with me since. I think that a lot of us can relate to the feeling that we’re drawn to creating music/art/whatever it may be, almost like it chose us instead of the other way around. Even so, there are so many potential obstacles that may diffuse this passion, or we might convince ourselves that other (more practical?) things are more important (the Shoulds), and this book empowers us to choose Must (our true desire, the work that gives us purpose) instead of Should. Also, Elle Luna is a co-creator of the 100 Day Project, the global daily art project that I participated in last year, which I’m so grateful I committed to! * Heads up: these are affiliate links. 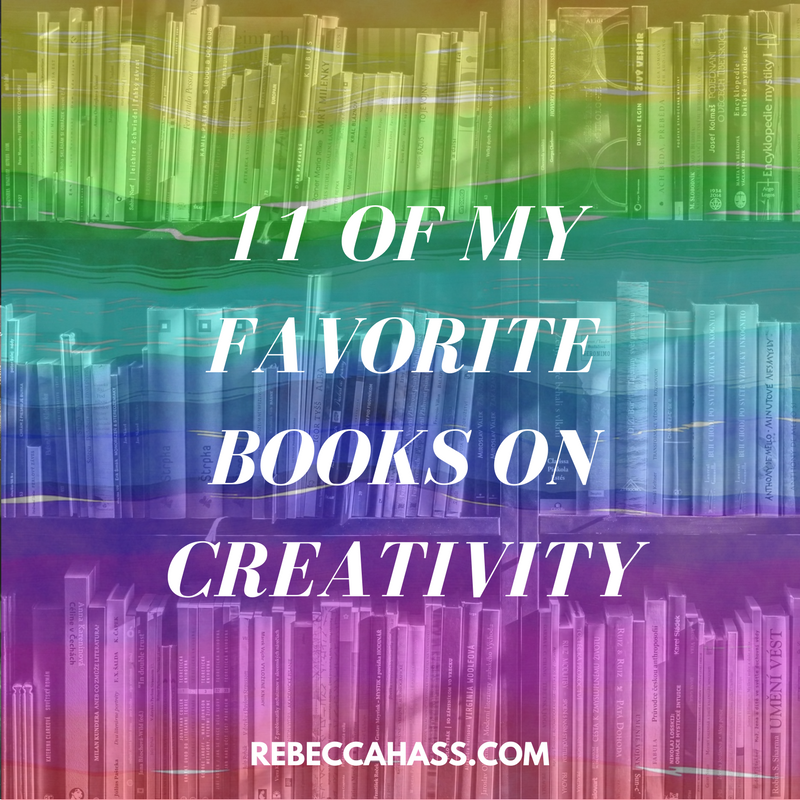 If you have other favorites, share them below - I’m always looking to add to my stash of books to recommend!